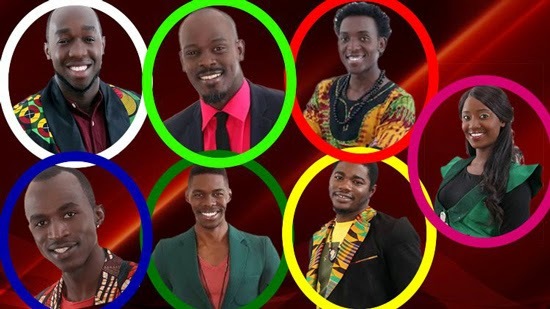 With seven Hotshots having already been evicted from the Big Brother house, another seven are up for possible eviction this week. Yesterday after the live show, housemates right away went for nominations and by last night, results were already in just waiting for official announcement from Biggie and the HoH's add. Announcing the nominees this evening, Big Brother in alphabetical order read, Arthur, Kacey Moore, Luis, Mr. 265, Macky2 and Sheillah. As you are aware, the Head of House may add one housemate to the list for possible eviction and once this add decision is made, those are the final names for possible eviction and the added housemate will be revealed to the housemates on Sunday right before the eviction. JJ was called to the diary room to make his decision and he added Frankie on the list. This means that the housemates up for possible eviction this week are: Arthur, Frankie, Kacey Moore, Luis, Mr. 265, Macky2 and Sheillah. Voting opened immediately after the nomination show, and will run until Sunday morning. The more you vote for your favourite nominated housemate, the better their chance of staying in the house. Who do you think will be sent home on Sunday?